If you would like your homemade cake or cupcake to be more delicious and delightful than ever before, then you need to know how to make buttercream frosting. Actually, you don’t have anything to worry about this because it is just so easy to do especially if you have complete baking appliances and tools at home. 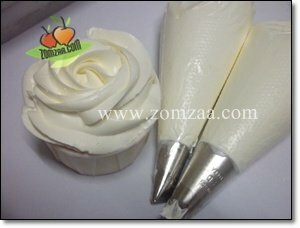 In the succeeding paragraphs, you will be able to discover the step by step procedures on how to effectively make a delicious and creamy buttercream frosting. 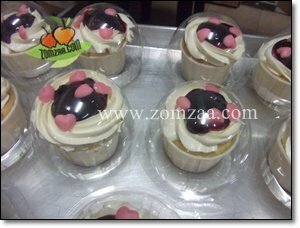 Of course, the first thing you need to do is to prepare all the needed baking tools, equipment and recipes. Then, begin removing the margarine or butter and the shortening or lard from the ref. Make sure that these ingredients are at a room temperature when making the frosting as lard and butter that are too cold have the tendency to separate when you mix them. 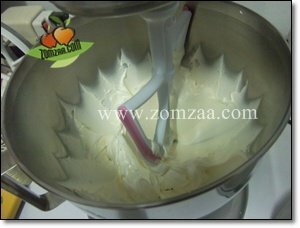 In a mixer or food processor, cream the margarine or butter and the lard or shortening together. When you are done, you have to place the ingredients in the mixing bowl and just set your mixer on a medium speed. Mix it for a minimum of 30 seconds and turn off your mixer. In scrape down the sides of your mixing bowl, make use of a spatula made of rubber. To make sure that all the ingredients are well-combined, continue mixing all the ingredients in 30-second duration. Next, add a proper amount of clear vanilla extract to the lard and mix it for another 30 seconds. It is alright to use a brown-colored regular vanilla extract, but this will tint the frosting’s color. Then, combine the ingredients once again on just a medium speed. To make the buttercream frosting more delicious, you need to add the mixture with confectioner’s sugar. In order to prevent the sugar from being thrown out of the bowl, you have to add 1 cup of sugar at a time on just a low speed. Before you add an extra cup of sugar, blend the frosting mixture for a minimum of 30 seconds. Just before you add another cup of sugar, make sure that the sides of the mixing bowl are scraped down using a rubber spatula. 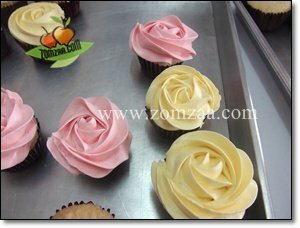 When you are done with that, add milk to your frosting depending on its quality and your preferences. Just turn your mixer on low and drizzle the milk slowly into the frosting mixture. Add a small amount of milk until the frosting is already fluffy and smooth. Beat the butter until soft in a food processor. Alternatively use a hand-held whisk. Gradually beat in the icing sugar and water together. Continue beating until frosting is light and fluffy. Towards the end add the vanilla extract. To make sure that the buttercream frosting you have made will stay as fresh and as delectable as possible, it must be stored it in an airtight container in the ref for a few days. These are just some of the step by step procedures you need to follow in order for you to secure that you can make a great tasting buttercream frosting. Now that you already know them, why don’t you start making a homemade frosting now? This treat will surely satisfy the cravings of your kids.